I love the outdoors. 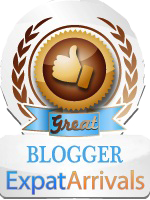 I enjoy going camping, hiking a nature trail, going to a park. Alas, Jakarta doesn’t have that many outdoor activities to offer. The few city parks I’ve seen are very dirty and not well-taken care of and the tropical heat doesn’t help considering these parks barely have any trees to provide enough shade. I wish I could allow the kids to enjoy nature, but pollution doesn’t help, either. This frustrates me a lot, so instead of whining I take advantage of all the great indoor playgrounds Jakarta has to offer. One of our favorite ones is located very close to us in Plaza Indonesia. On the third floor of Plaza Indonesia, you will find “Miniapolis”. Miniapolis is like a little city made exclusively for kids. 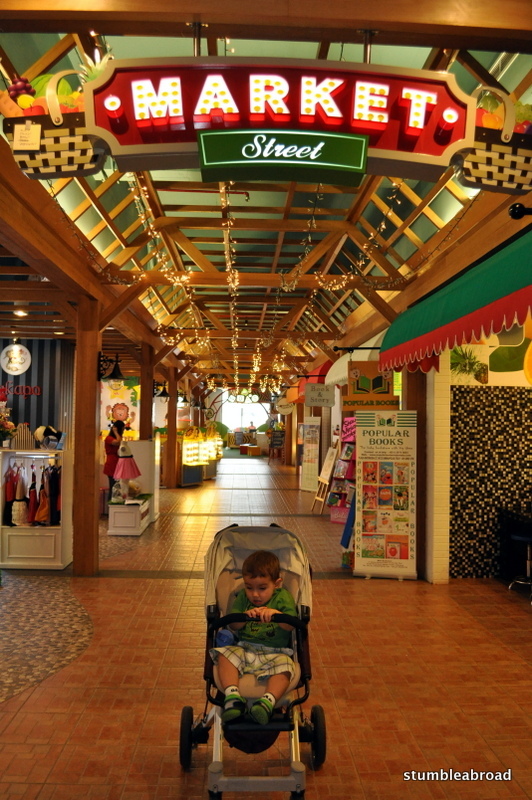 They have baby boutiques, toy stores, a kiddie haircut place, a kid gym, a preschool, a photo studio, and lots of little snack places with kid-friendly food. This is a great place to go shopping for your kids and if shopping is not in your plans, it’s a great place to walk around and have fun. 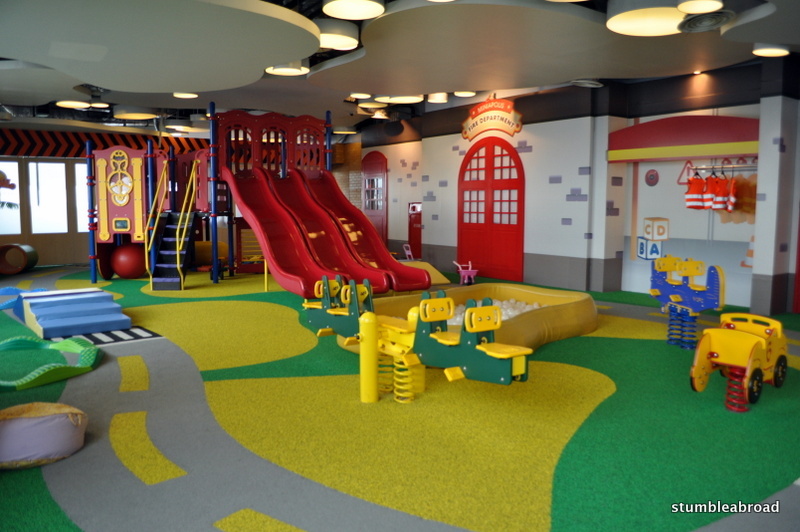 Miniapolis has several areas for kids all ages. 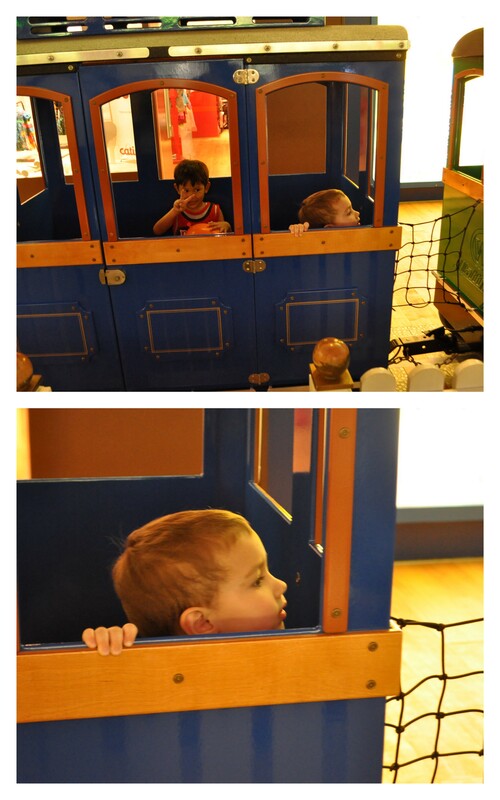 They have a carousel, a train that rides around the whole floor, a “big-kid” playground, a toddler playground, and a climbing wall. 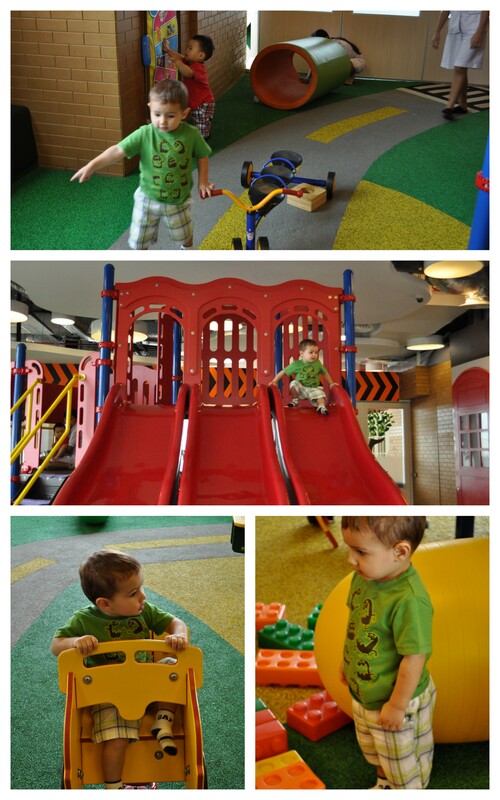 Evan loves playing in “Noah’s Park” which is designed for kids 5 years old and under. 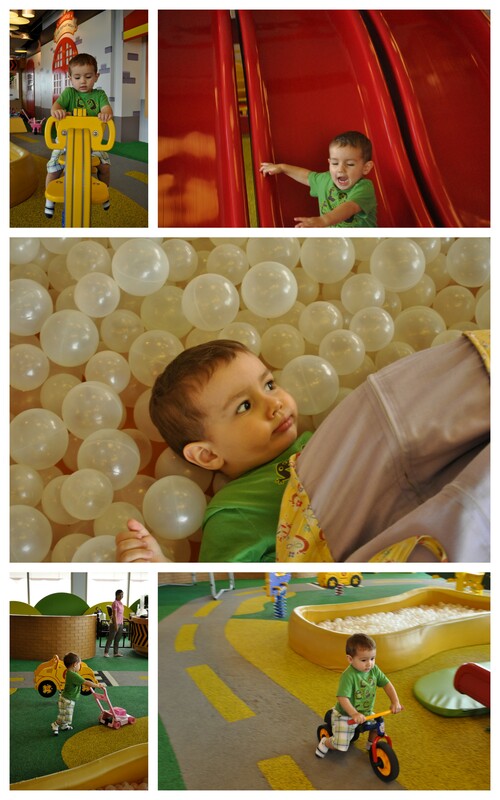 If you become a Miniapolis “citizen” the entrance fee is 35,000 rupiah on a weekday and 50,000 on the weekend. 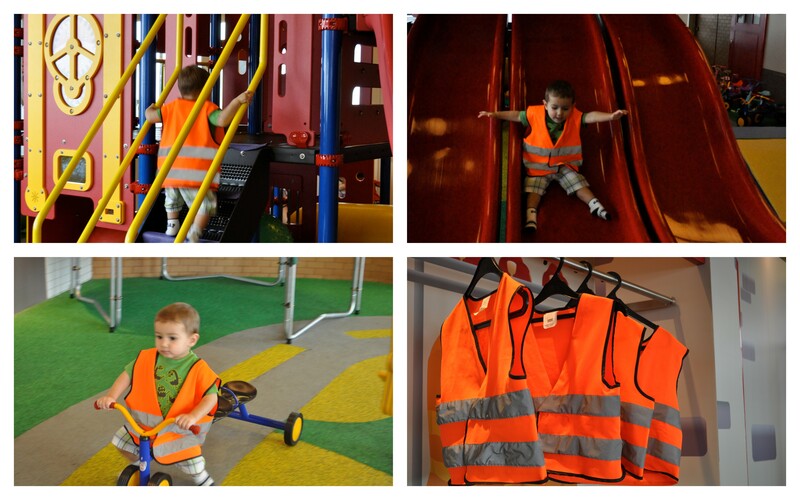 We can spend hours there as they not only have a playground, they have bikes and carts and a ball pit. This place is very clean and safe and I don’t mind spending my time or money there. After a couple of hours playing there, we usually take a break, drink a fresh fruit juice and head to the train for a ride. The train ride costs 25,000 rupiah for Miniapolis citizens. If I’m lucky, two rides around the mall do the trick and then we are set to go home. Sometimes I get tired of going to the mall all the time but the truth is that they are always clean and safe and kid and mom friendly. I guess this is one of the great things of living in a concrete jungle. Thanks for dropping by! We love visiting your playgrounds and do so quite often. My two year old has a blast every time we visit any of the playgrounds and I can;t wait for my baby to be old enough so he can enjoy them too!